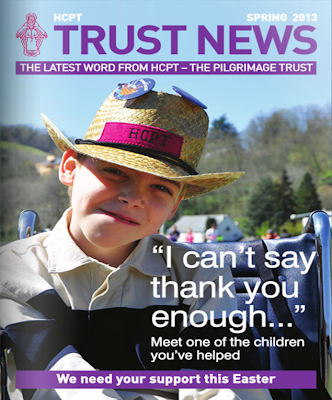 Click on the image below for a link to the Spring 2013 edition of HCPT Trust News. Have a read; this edition contains an interview with Phil Hall, Group leader of 101, talking about the inspiration behind his song 'We Are the Hands of the Lord'. This is the song that has given us the theme for this year's pilgrimage. Everyone in Group 101 is very proud of Phil!